Fulham win 5-4 on penalties. Tranmere win 4-2 on penalties. Birmingham win 3-2 on penalties. Leicester cut Carlisle apart with a burst of four goals in a devastating 16-minute spell to win 5-2 at Brunton Park. Carlisle took an early lead through David Amoo, but Chris Wood levelled before the break and went on to complete his hat-trick with Lloyd Dyer and Anthony Knockaert also finding the target as City ran riot. James Berrett pulled one back for Carlisle. Leicester had Carlisle - who have leaked goals everywhere this season - pegged back for large portions of the first half, but it was the home side who took a 16th-minute lead when Lee Miller won a tackle against Neil Danns. He freed Berrett, who in turn slid an accurate pass wide to Amoo. The winger kept his cool to drill a low shot across Conrad Logan and into the bottom left of the goal. But Wood then skated through a static Carlisle rearguard to level the scores after 38 minutes. Knockaert supplied the pass and Wood ran through to slide a low shot left-footed past Gillespie from just inside the area. Leicester then went ahead as Carlisle were punished for the loss of possession in midfield straight after the break. City skipper Dyer was handed a clear run on goal and smashed an unstoppable shot high into the roof of the net. 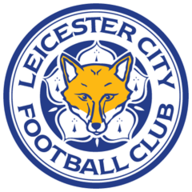 Leicester made it 3-1 in the 51st minute when Danny Drinkwater and Dyer carved open the defence and Dyer's pull back left Knockaert with a simple finish from 12 yards. A foul by Brad Potts on Jamie Vardy gave Wood the chance to thump home the penalty in the 59th minute and Carlisle's collapse continued as substitute Martin Waghorn, with his first touch, played in Wood who coolly stroked the ball past Gillespie to complete his hat-trick in the 62nd minute. 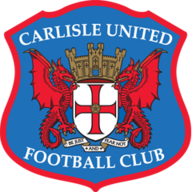 For all their misery, Carlisle scored the goal of the game with the last real act, as Berrett curled a delightful right-footed shot into the top corner in the 71st minute.